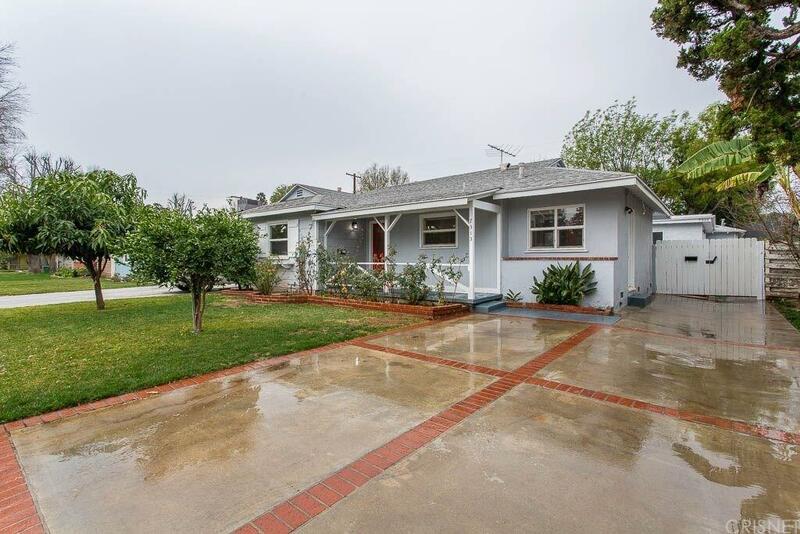 Incredible and rare Lake Balboa property with exceptional investment & cash flow potential! Two beautiful homes on one lot, each with individual addresses (7313 Rubio Ave & 7315 Rubio Ave). The front house is a clean, 1242 sq ft charmer with 3 bedrooms and 2 bath. The back house is a 683 sq ft never lived in before BRAND NEW CONSTRUCTION, permitted, 2 bedrooms and 2 bath ADU with separate electrical panel. Both properties have laundry hook ups. Central heat/AC in the front house & 3 split units in the back house. Both with real hardwood flooring and a combined total of 1925 sq ft of living space. Sizable front and rear yards! Sparkling pool, that was just replastered. Close to the 101 and 405 freeways, dining, shopping, schools, The Orange Line and Lake Balboa Park. This is a great opportunity for that buyer looking for a cash flow property as well as a property to live in. Live in one and rent out the other or use as you choose.